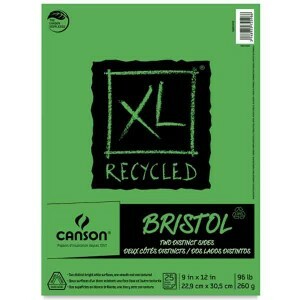 The Canson XL recycled pads are designed to appeal to students by combining quality, performance, and value with a concern for the environment. It is the only recycled bristol on the market and features superior construction and heavier-weight cover materials than other value lines, they’re manufactured using environmentally friendly methods. 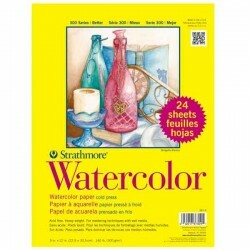 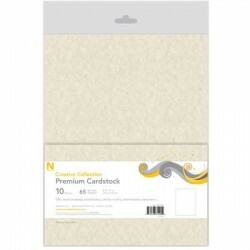 This is a dual sided bristol (Smooth one side, textured on other side) is a brighter white paper for better contrast with pencils, pens and markers.